Grandparents play an important role in deterring kids from using alcohol and drugs. Children and teens have a very special relationship with grandparents. That’s why grandparents can be such powerful allies in helping to prevent underage drinking. The goal of these efforts is to make it harder for teens to get alcohol in communities throughout Eau Claire County. Grandparents can help! Take a moment to think about where alcohol in your home is stored. Is it in the fridge in your garage or basement? Is it in a kitchen cabinet? 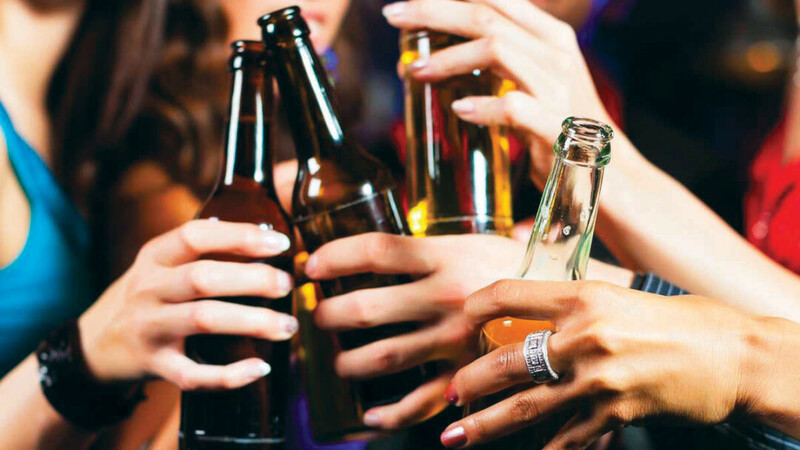 Teens have found that alcohol is readily available in many places, and that they can help themselves, often without anyone noticing. Refuse to provide alcohol or allow individuals under 21 to drink alcohol in your home or on your property. Make sure that alcohol is stored safely (locked away if possible) in your home. Put a lock on your extra refrigerator(s). Monitor the alcohol supply in your home and take note if any goes missing. Grandparents often have a close and special bond and often serve as an inspiration to their grandkids. This unique relationship between grandparent and grandchild provides an ideal opportunity for discussing many important topics, including the dangers of underage drinking. Talk with the kids in your life about the risks of underage drinking and why you don’t want them using alcohol. During the months of April through June, we encourage adults and communities to take a stand for alcohol-free parties for teens. Allowing underage people to drink alcohol in your home endangers everyone’s children. Together, as a community, we are all saying hosting or allowing underage drinking is unacceptable in our community.